Currawong Engineering Pty Ltd (Currawong) was formed in 2005 by Gavin Brett, who continues as the company’s Chief Executive Officer. After completing a mechanical engineering degree with Honours, Gavin worked at General Motors for six years in Melbourne (Australia) and specialised in engine calibration and testing for the V8 Commodore. 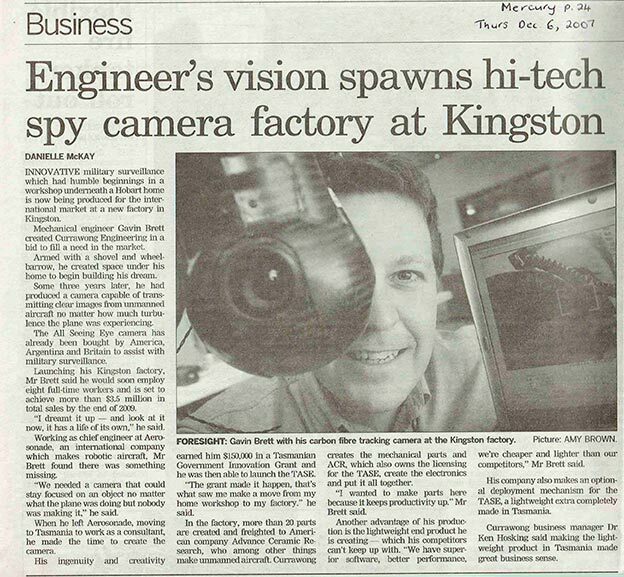 He then worked for five years at Aerosonde Ltd initially in the role of engineer and was soon promoted to Chief Engineer. He developed an electronic fuel injection system for the Aerosonde aircraft, which is still in use today. (www.aerosonde.com). In 2005, after re-locating to the state of Tasmania, Gavin established the company, Currawong Engineering Pty Ltd. The company was named after the intelligent Tasmanian Currawong bird, which is endemic to Tasmania. Currawong teamed up with Cloud Cap Technology in the US to design and manufacture the TASE series of camera gimbals. Gavin then began work on designing an aerospace grade, world leading electronic fuel injection system for UAV carbureted engines. In 2009 Currawong secured a contract to supply the EFI system for Honeywell’s T-Hawk Micro Air Vehicle. Over 700 systems were supplied. 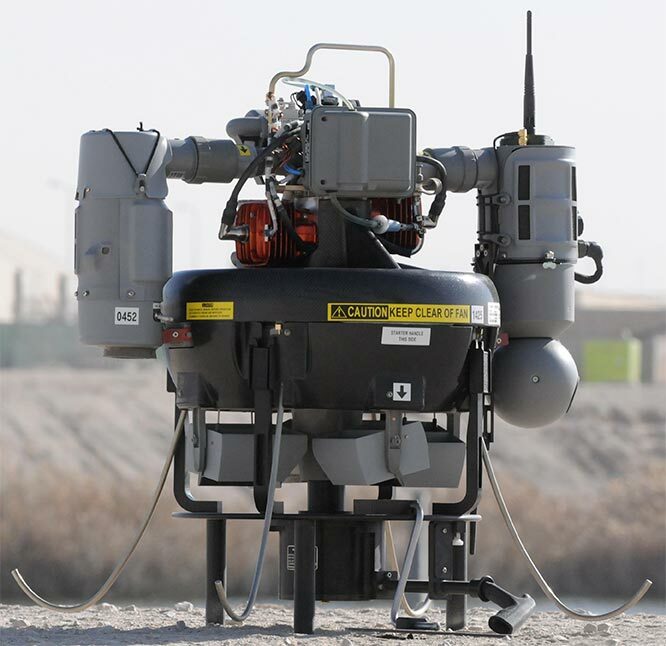 Since then the EFI system has been used by Raytheon Sensintel (US), Fuji-Imvac (Japan) and numerous other UAV manufacturers. 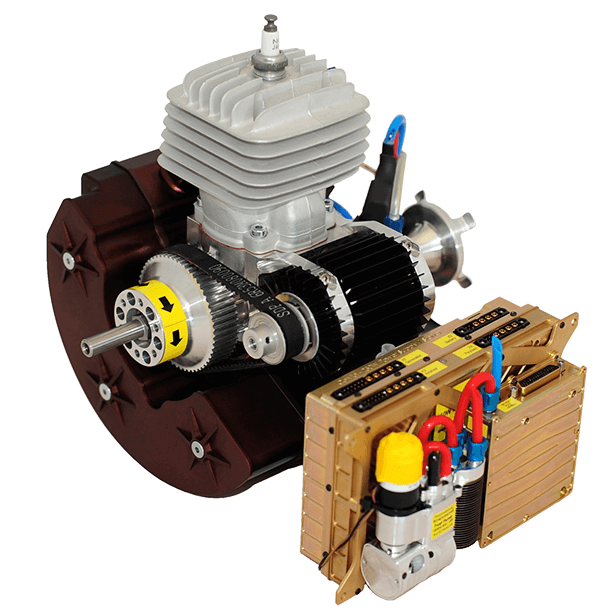 In 2013 Currawong partnered with Cobra Aero (US) and Power4Flight (US) to create the Corvid-29 engine, a fuel injected version of the 3W-28 engine with a low noise exhaust. Currawong also designed and manufactured its own engine dynamometer (due to the lack of a precision dynamometer on the market) in order to properly test and calibrate the engine. The Corvid-29 has been successfully integrated into eight airframes. 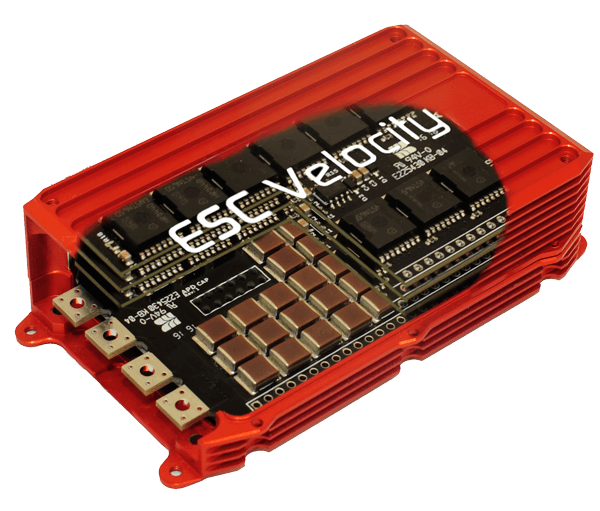 Currawong expanded its product range to include servos (with internal vibration sensors), electronic speed controllers and a special hub to connect all of the avionics via the very reliable and robust controller area network. 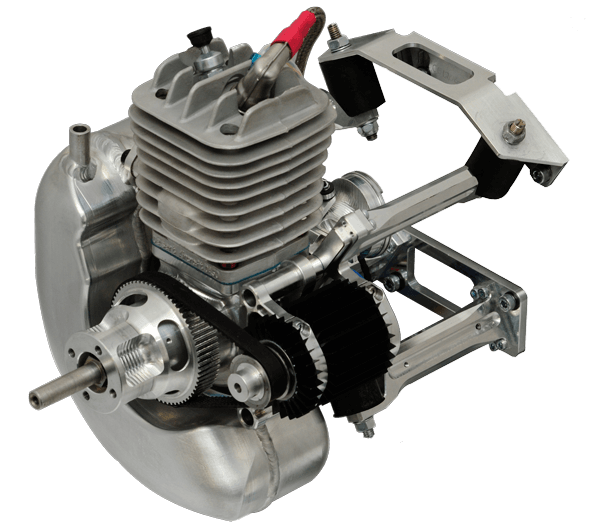 In 2017 Currawong released the Corvid-50 engine, based on the Desert Aircraft DA50 engine, with a custom throttle body, EFI, inlet manifold and integrated isolation mount.